A MAN has been treated for minor burns and smoke inhalation near the disused railway station in Lismore. Fire crews were called out late this afternoon and came upon a blaze among a rubbish pile and disused truck used as a homeless shelter. At first there were fears that there may be LPG cylinders among the belongings, but fire crews managed to extingush the blaze quickly. 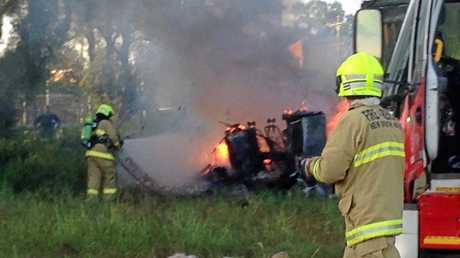 Three fire trucks, ambulance and police attended the scene and one man was treated for minor injuries at the scene and then transported to Lismore Base Hospital.